Jasco Games posted another preview for the Mega Man Board Game with a look at Dr. Light. Two Kickstarter Exclusives! 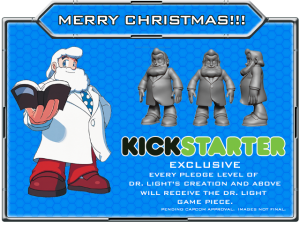 Don't forget, Dr. Light is also an Add-on, so if you want to grab more exclusives, or if you didn't qualify for the Free mini, now's your chance to stock up.